Typically speaking, no one think I would pick this up. It's sad and nonfiction. This is something that I would not normally not try out, but here is a little back story on me as a person. I'm a college journalist, and I also love animals. All animals. I didn't want to read this at first because it was a sad book about a beautiful dog, and that kind of storyline makes me sad. With some more digging, I found out that the author is a columnist. I was so excited to get to read something from a fellow reporter that I got over the dread that was filling me. 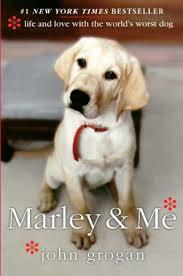 If you are wary about reading Marley & Me because of the sad storyline, here are some things that might change your mind. 1.) Dogs are beautiful creatures, and this novel just shows you how much they love their owners. Obviously this one is a no brainier right? I don't know why you wouldn't want to read a book that shows you how loyal an animal is. 2.) Its the kind of sad that leaves you feeling refreshed. We all have those sad reads that we hate to love. For me, it's anything sad. In particular, this book is one of them. It left me feeling like I had a new perspective on life and like I had just lived an amazing adventure. 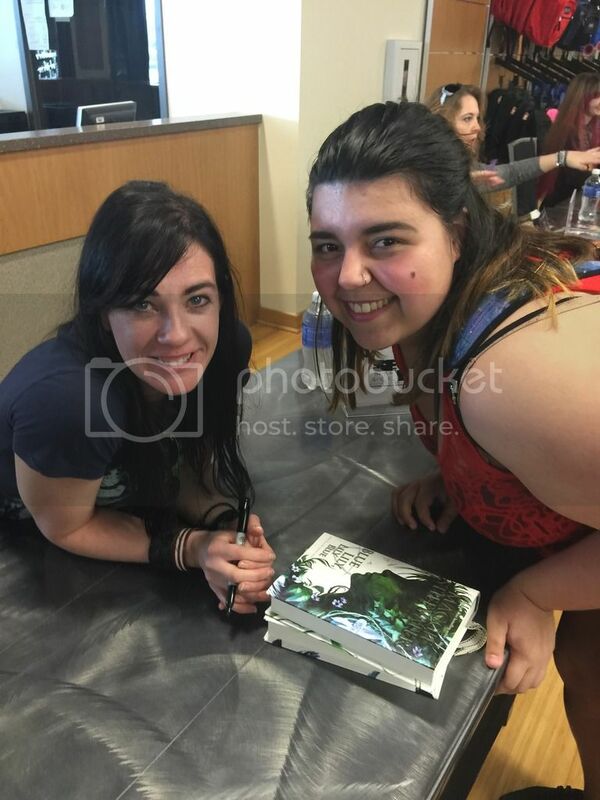 I felt refreshed in the, "I just read the best book ever and it ripped me apart, but it was worth it" kind of way. 3.) John Grogan has a voice. Not just because he can write, but because when I was reading about the beginning of his life when he first got Marley I could hear him. Not the man writing the book when he was much older, but the young man who was newly married and excited to have a family with his wife. He shared his voice to the world in such a flawless way that I thought he was writing this day by day as he went through each experience with Marley. 4.) It is a fun and exciting non fiction read. Regardless of the sadness that surrounds this story, it's very easy to say it is also one of the most fun and exciting books I've ever read. Reading about Marley's adventures at the dog beach or playing with the chickens near their home, never failed to put a smile on my face or cheer me up. This book balances the real life things with the fun parts to never cause the reader to really become bored. 5.) Marley shows the best and worst qualities in a dog. We all know that regardless of what I preach, not all dogs are the most well behaved. This book really opens your eyes to what really can affect an animal and how certain things can change how they behave. Marley really shows you his great qualities, but he also opened my eyes to the painful truths about how dogs are kind of like people because we all have our bad days and issues we deal with.